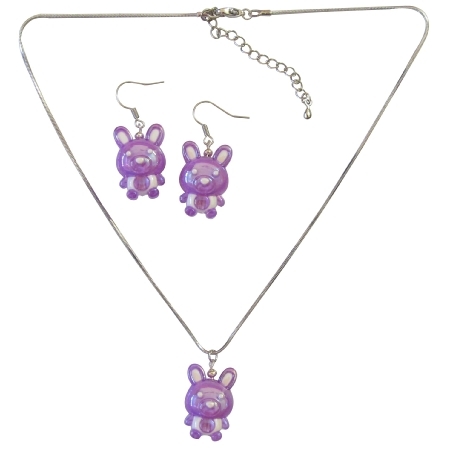 Easter give a special bunny charm Necklace Set to celebrate the holiday Gorgeous Very Cute Purple Enameled Bunny Pendant Beautifully White enameled eyes nose ears Silver Plated 16 inches Chained Necklace affordable under $5 jewelry. Amazing Fabulous Purple Bunny Rabbit Easter Holiday Ornament Necklace Gorgeous Affordable Inexpensvie. High quality products so that your item will last. It look just terrific!